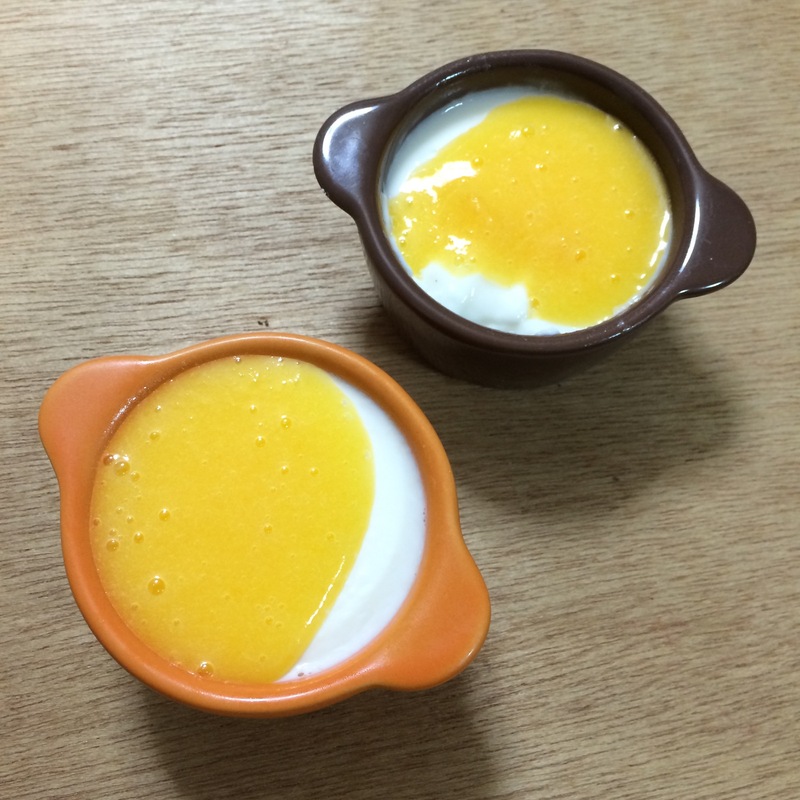 Annin Dofu, also called Almond Jelly, is a sweet almond pudding that is fairly popular in Japan. Apparently it originated in Hong Kong Dim Sum restaurants. Here it is often included with sets at Chinese places and is a lovely way to end the meal. It’s also popular in the dessert cases of convenience stores, often with various fruit toppings. I had a craving the other day, so I decided to make my own. The grocery store had plenty of kits, but I knew that they usually come out pretty bland so I decided to try it from scratch. I was rewarded to discover that it was honestly just as easy as the kit. The only hard part was finding the Annin Powder, which was not in the dessert section of the grocery store, but rather the Import/Chinese section. Interestingly, this bottle says “Almond Powder” in katakana below the Chinese, but Wikipedia says that 杏仁 is actually produced from apricot kernels. I didn’t realize how closely almonds and apricots were related! 2. Put the milk on the stove, add sugar and annin powder. If you pop it in the fridge it should take about 3 hours to set. If you’re impatient like me and you pop it in the freezer, it should take about 1 hour, but be sure not to forget about it or you’ll have frozen pudding! Annin Dofu is often served with fruit cocktail, but recently I’ve been making a simple fruit sauce by taking canned apricot or mango and whizzing it in the blender for 30 seconds with a bit of the syrup. I imagine other fruits would be lovely as well. This dessert is also often made with agar as a thickening agent, and I was thinking it might be lovely with almond milk if you’re interested in a vegan version, or even if you just want to intensify the almond flavor. Let me know if you make it, or have any tips for your own version! This entry was posted in Uncategorized and tagged annin, annin dofu, annin tofu, cooking, dessert, food, i cooked this, I made this, recipe, sweet, yummy. Bookmark the permalink. 2 Responses to Making Annin Dofu From Scratch! 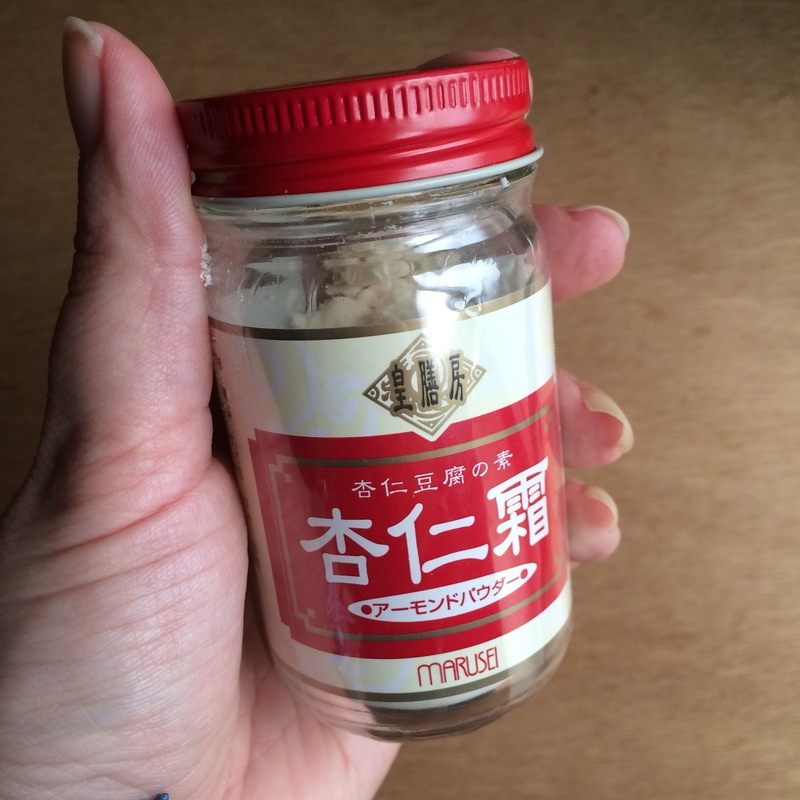 Adding this to my Japan-friendly-recipes masterlist!